Albert’s Printing NY supplies greetings cards in a wide range of different sizes and finishes: either select a standard-sized product or specify a custom size of your choosing. Most of our customers choose to have their cards printed in stunning full color. Our complete, tailored printing and packing service means we can supply competitively priced beautifully printed greeting cards. We’ve supplied hundreds of companies, organizations, charities, schools and private individuals with high quality greetings cards of all descriptions. 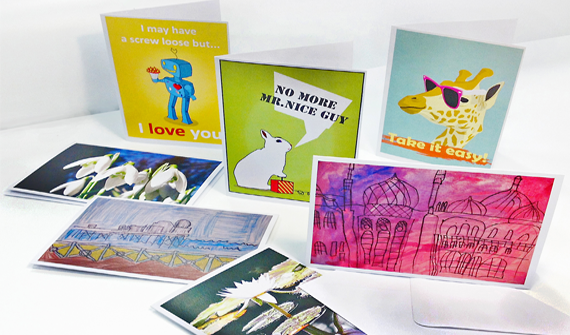 Our greetings cards are printed in stunning full color and supplied pre-creased and folded.